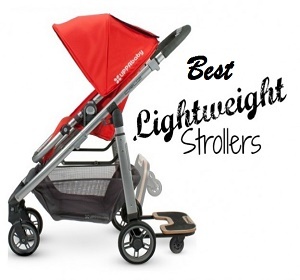 If you can get all the expected features in on stroller then what else you need right? 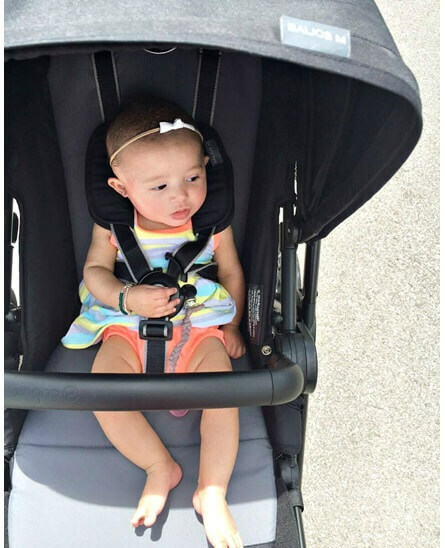 So Cybex Balios M All-Terrain Stroller Review stroller has stylish look, reversible & deep recline seat, all terrain wheels, large canopy & basket etc. 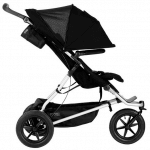 Cybex Balios M All-Terrain Stroller is a light weight stroller which is very easy to handle, well that’s not all to know more about it let’s go through the “Cybex Balios M All-Terrain Stroller review. It rolls on four all-terrain wheels with 8″ in the front and 11.5″ wheels in the back. These wheels are made out of high-quality rubber and have foam filling. These wheels are more designed for long walks at the park, city streets with uneven surface. There is one brake is located between the rear wheels which is very easy to use & safe. 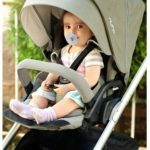 Canopy is large & one mesh is attached to the canopy that goes down all the way to the bumper bar, so it provided great coverage to baby with air circulation in hot summer days. The seat is reversible with 5″ wide with the 20″ seat back and a measurement of 22″ from the back of the seat to the top of the canopy. 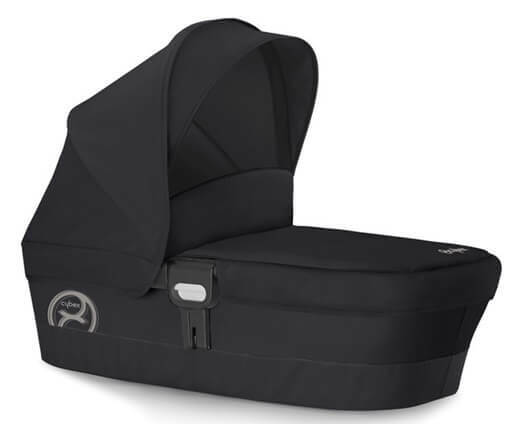 It has deep recline till a flat position which is very comfortable for new born baby but still you may need infant insert for additional support.It can hold a child up to 55 lbs. 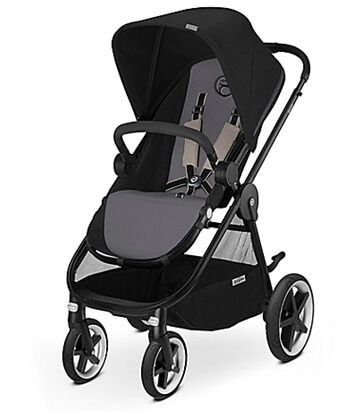 You can turn your stroller into a stylish pram by replacing the seat with a matching bassinet called Cybex Carry Cot M. this weighs only 8 lbs and can accommodate a child from birth and up to 20 lbs. The carrycot has wide mattress with large canopy & you can use it in your home as a sleeping bed for new born baby, isn’t great if you can save your money like 2 in one facility right? 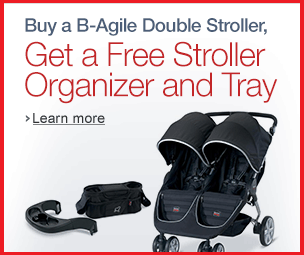 You can also turn your stroller into a travel system by replacing the seat with an infant car seat. It works ONLY with Cybex car seats. So in that way you will not be annoying to take your baby with you in car. 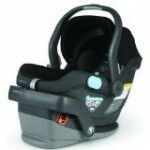 But you can say it a drawback as its only works with this particular car seat you don’t have other options. 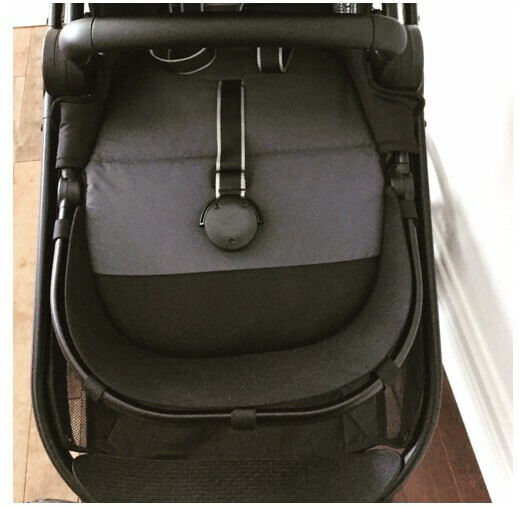 This is a very important section I guess in “Cybex Balios M All-Terrain Stroller review” so you will be happy to know Cybex Balios M All-Terrain Stroller Review stroller is very safe & easy to handle as It has an adjustable padded 5-point harness with a center release buckle which holds your baby tight & safe. The telescoping handle bar goes from 37″ all the way up to 42″ from the ground. Shorter and taller parents will be comfortable so no need to criticize your height. There is one swing away bumper bar which can be easily removable. 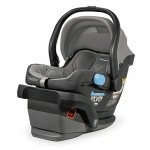 The leg rest is adjustable so your little rider can stretch his leg according to his comfort. All wheels suspension makes the ride smooth & absorbs bumps. Last but not the least the fold is very easy & it has automatic lock & standing fold. You know it’s a very compact fold so you can easily keep it in any corner of your home. One thing I really like about it in “Cybex Balios M All-Terrain Stroller review” the “basket” it is very large even I have imagined putting the baby into it but back to practical it can carry a lot of baby stuffs as well as parents shopping items. It is very easy to access from the back. But there are no extra small pockets to store other small articles of yours or no cup holder included. But it should be there. The seat material is very soft & washable so is very easy to handle. Material is made of safe fabric to your baby’s skin can will be safe. 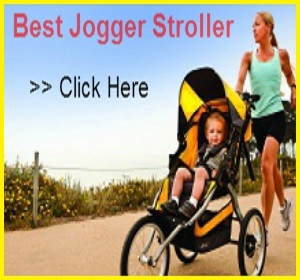 Well I didn’t find any negative point which will stop you to buy Cybex Balios M All-Terrain Stroller Review stroller as it has a all the feasible features along with light weight ,compact fold ,comfortable seat & all safety points. So we should give a positive outlook to this Cybex Balios M All-Terrain Stroller review” don’t we? The Cybex has a 2-year warranty from the original date of purchase and you have to be the original owner. 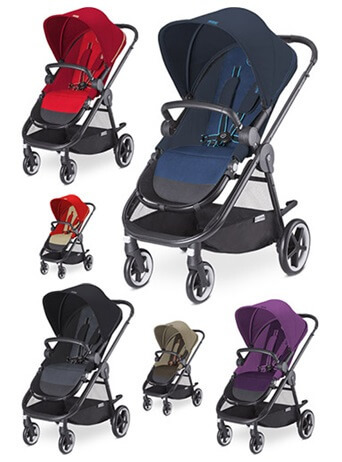 You can feel your paying money for the good & safe ride for your baby after using Cybex Balios M All-Terrain Stroller durable strong stylish stroller. Your baby might be waiting for you to take him for a super ride so don’t let him wait, have a happy ride.